The famous gull-wing design of the F4U Corsair makes the plane one of the most distinctive fighters of World War II. Designed and built by Chance-Vought, the Corsair prototype first flew on May 29, 1940. It was the world's first single-engine fighter capable of speeds over 400 mph in level flight. Though first rejected by the U.S Navy, the F4U proved to be one of the best all-around fighters of World War II and was the only American piston engined World War II fighter produced in large numbers after 1945. During World War II the Corsair proved more than a match for the Japanese Zero and other advanced Japanese fighters. The Corsair achieved an impressive eleven-to-one victory ratio against Japanese aircraft. Corsairs also excelled in the ground attack role and were heavily employed as close air support aircraft during the Pacific island hopping campaign. As a testament to the plane's effectiveness, Japanese ground troops nicknamed the Corsair “the Whistling Death” (the plane's distinctive whistling was caused by airflow over the F4U's leading edge oil coolers). Later during the Korean War, the U.S. Navy and Marine Corps used the plane almost exclusively in the attack role, carrying high explosive bombs, napalm and high-velocity aircraft rockets. Corsairs were instrumental in the Marine's famous “advance in a different direction” from the Chosin Reservoir in December 1950. The Cavanaugh Flight Museum’s Corsair, is one of 120 Corsair IVs ordered from Goodyear Aircraft Corp. for the British Royal Navy. With the end of the war near, the order was cancelled and the aircraft were delivered to the U.S. Navy. It was accepted July 3, 1945 at Norfolk VA. After reconditioning to US Navy FG-1D specifications, it was assigned to VF-1 at Naval Air Auxiliary Field (NAAS) Cecil Field, Jacksonville FL and served from 10/5/46-6/23/47. 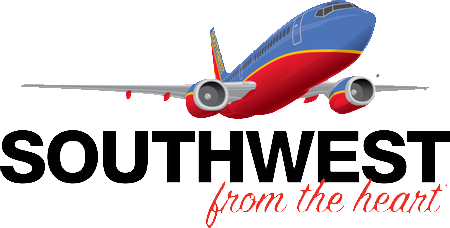 The remainder of its assignments are as follows: Norfolk VA, Naval Air Reserve Training Unit (NARTU) 6/24//47-11/25/47; Overhaul at Naval Air Station (NAS) Jacksonville FL; VMF-451 at NAS Willow Grove PA, 5/2/48-4/5/49; Storage at NAS Jacksonville FL; NARTU at NAS New Orleans LA, 12/10/49-8/6/51; Overhaul at NAS Jacksonville FL; NARTU at NAS Grosse Isle MI, 1/8/52-3/20/52; Airframe overhaul to Marine specifications at Marine Corps Air Station (MCAS) Cherry Point NC; Marine Air Squadron 31 at MCAS Miami FL, 5/14/52-12/17/52; NARTU at NAS Willow Grove PA, 12/18/52-8/18/53; Storage at NAS Jacksonville FL until stricken from Navy records January 1957. 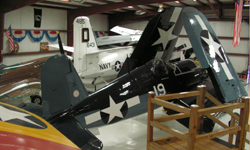 The Cavanaugh Flight Museum’s Corsair is finished in the armament arrangement of an F4U-1C, having 4, wing mounted 20MM cannons. 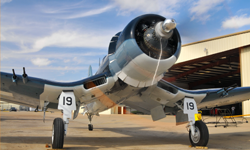 The paint scheme is that of Major Archie Donahue’s Corsair when he served with VMF-112 at Guadalcanal. On May 13, 1943, Maj. Donahue destroyed five Zero aircraft in a single engagement, thus becoming an “Ace-in-a-day”. Maj. Donahue is one of only 7 Marine pilots to accomplish this feat. He repeated this accomplishment by destroying another 5 enemy aircraft over Okinawa in 1945 while serving with VMF-451. He is credited with a total of 14 aerial victories and his decorations include the Navy Cross, three Distinguished Flying Crosses, and five Air Medals. ENGINE Pratt & Whitney R-2800-18W Double Wasp 2,100 h.p.